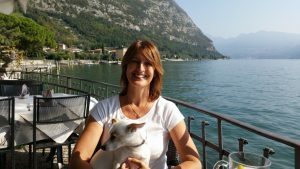 For all of those who are interested in purchasing lake front properties and want to know what’s available on Lake Iseo, here are just a few of the interesting proposals that we have to offer you this month. Lake front properties are always desirable not only for their vicinity to the lake but also for the convenience to the proximity of the local towns. Often a car is not needed to reach the local town and services, which is a comfort to those who are looking to leave the car at home for the holidays. Some towns equipped with both rail and ferry services around the lake, gives holiday makers time to kick off and really relax without getting caught in the holiday traffic jams. The other is a two bedroom apartment, LAKE FRONT in a small residence with swimming pool and private parking with views of the breathtaking island of Montisola. Both are good investment properties as they can be given to the Hotel Riva Lago to be managed and rented out, guaranteeing an income all year round. If on the other hand you prefer to be on the Bergamo side of the lake why not take a look at these apartments in the town of Sarnico in a residence with pool and quayside, with lake views and just a 5 minute walk into the town, all with parking and separate storage as well as a concierge service included as part of the community fees. Dreamhomes has been satisfying clients property needs in this area for over ten years and they have a large selection of properties to offer on their website on all towns around the lake, if you don’t find what you are looking for, contact them and let them know what it is you are interested in and they will forward proposals onto you that suit your property criteria and budget. Better still sign up for one of their viewings, they will prepare an itinerary of properties that suit both your criteria and budget and will customize a visit for you free of charge.